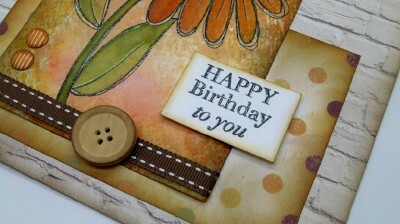 It's my turn over at Woodware today, where we are playing along with Crafty Cardmakers. 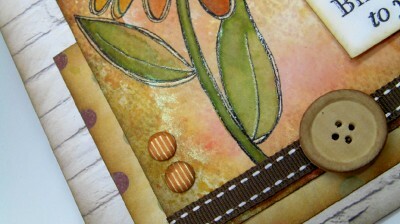 that is one stamped image, 2 papers and 3 different embellishments. 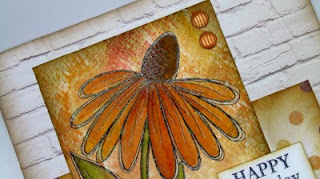 For my image I chose JGS446 Whimsical Flower Sally Anne, which was also chosen by Jane earlier in the week. I painted the stamped image using the same dye based inks and added a little starlight pen. 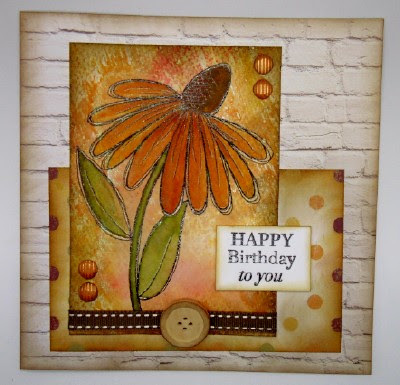 My two papers are from Craftwork Cards 8x8 pads Potting Shed and Vintage Backgrounds. For my three different embellishments I have used dark brown stitched ribbon, Card Candi and a large wooden button. 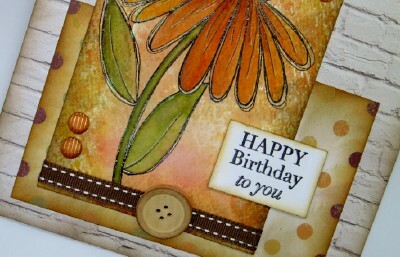 The sentiment is from another fabulous Woodware stamp set JGS445 Meadow Flowers. I hope that you are enjoying this weeks challenge and feel inspired to join in with us. 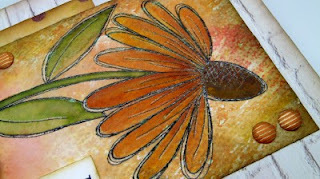 Absolutely lovely, Kim, what beautiful colours! I hope you're getting over your cold! Wow Kim, so vibrant. Love that flower and your description of your handmade paper!